A velvet drawing its inspiration from the oceans and from one of their most incredible wonders, the coral reef: here we’ll show you our latest accessory collection made with the brand new Coralli velvet, a burst of colours dominated by blue. Infinite, relaxing and amazing like oceans: blue, when used in interior design, is the perfect colour to create a quiet and welcoming atmosphere. This is why its ideal setting is a bedroom – but you can use it in your living room, too, to give it a touch of elegance and make your guest feel completely at ease. 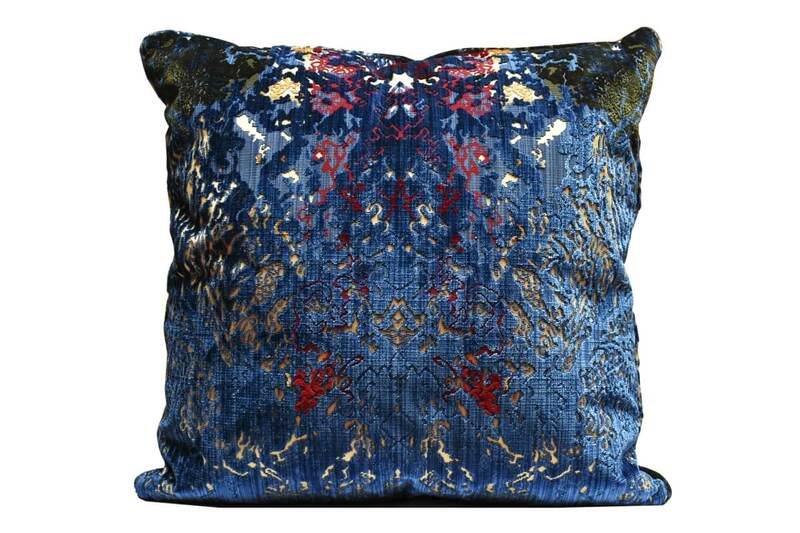 On top of that, blue can have these peculiar effects on your home decor both if it colours a significant space, such as a wall or piece of furniture, and if it appears on a small furnishing item, as for example the cushions of our Coralli collection. They’re available in two sizes, 60x60 cm and 40x40 cm, and feature a refined and soft velvet in the intriguing colours of the ocean. 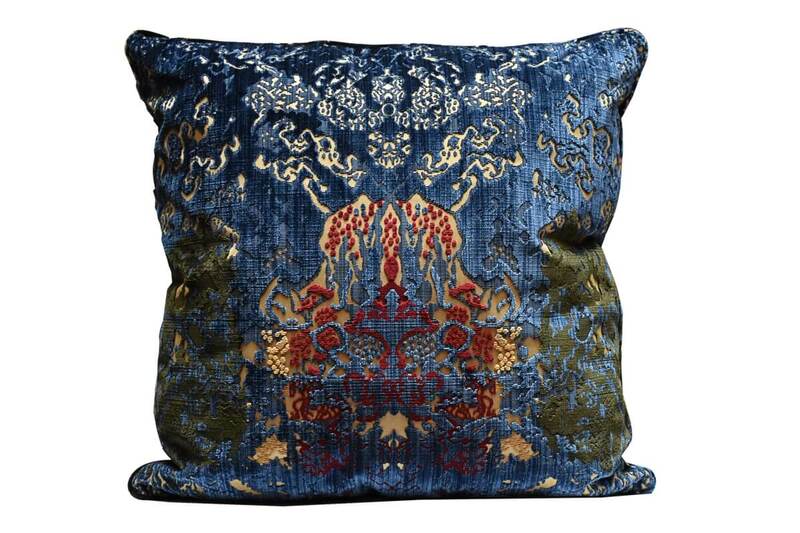 Blue is indeed only one of the shades of the Coralli velvet, which mixes a very dark tone of blue with bright red, yellow and green: the pattern is therefore extremely modern and expressive. 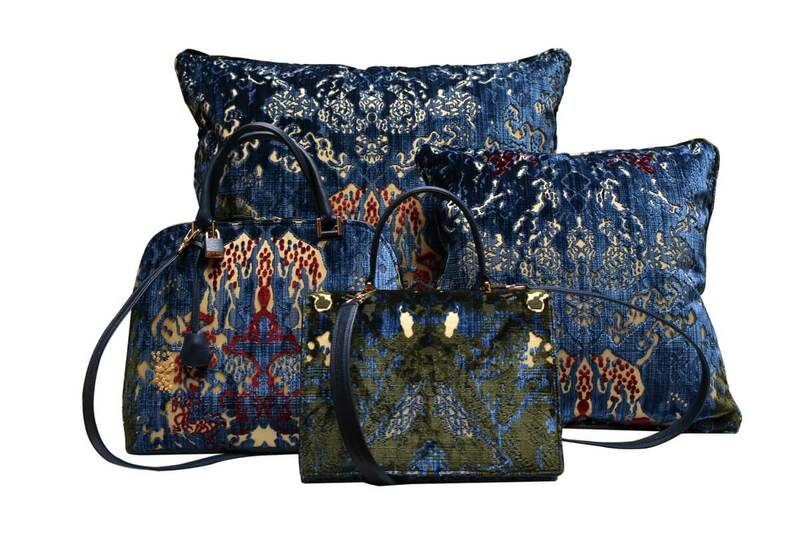 Blue hasn’t fascinated only interior designers: its various shades have recently coloured clothes, shoes and bags of many fall-winter fashion shows. 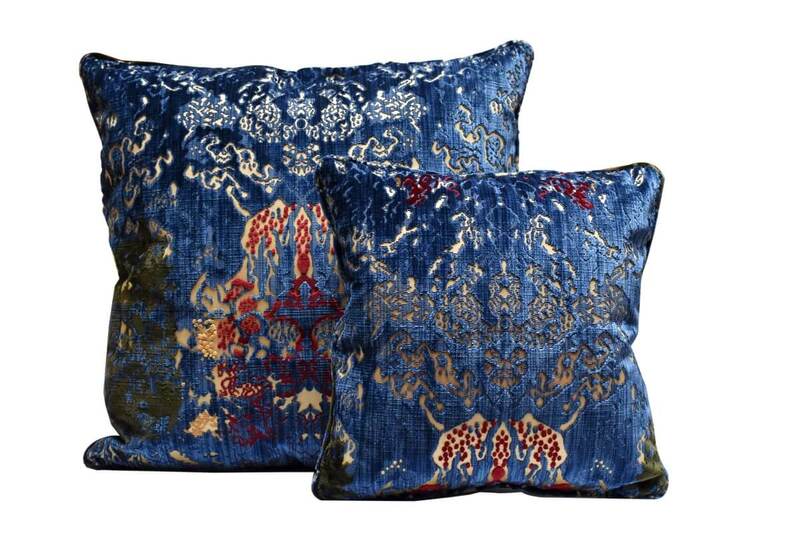 Indeed, blue stands for elegance both in the world of fashion and in interiors. 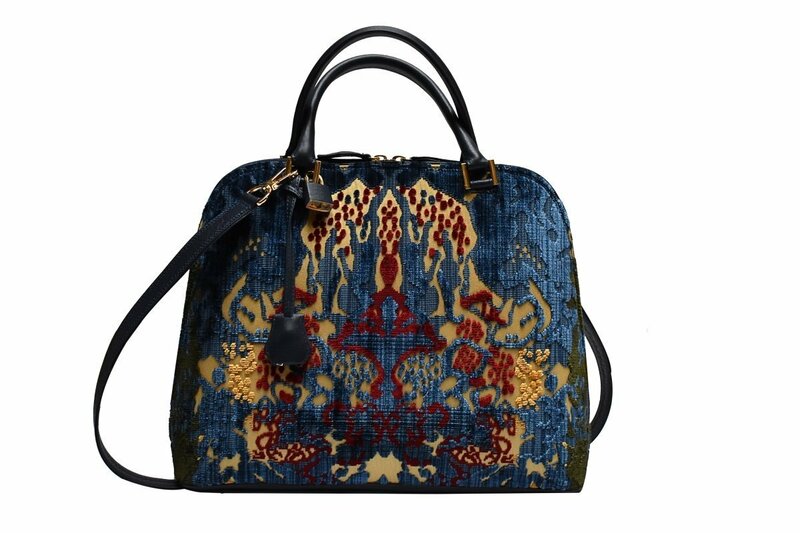 This is the reason why we’ve used the Coralli velvet to cover two of the chicest bags of our catalogue: Peggy and Elena. 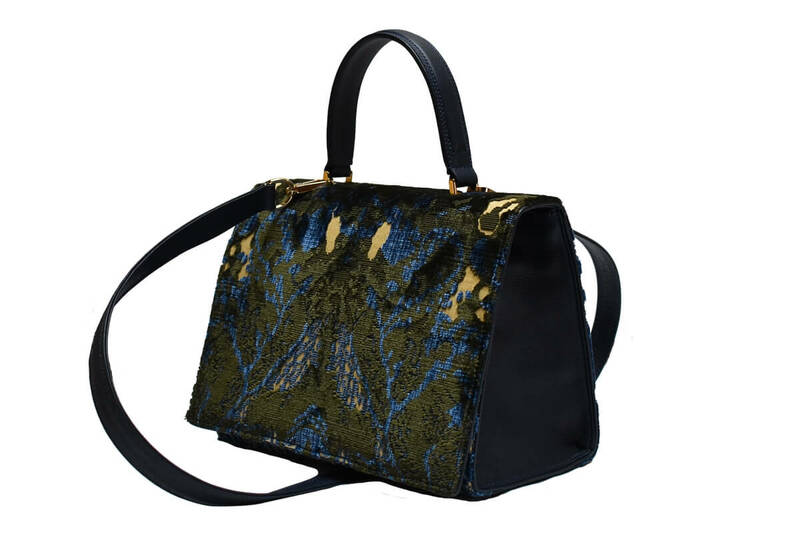 They’re both day handbags, designed for women who want to wear a fine accessory even in the office, thus revealing their sophisticated yet functional style. And blue can easily create such a mysterious and classy aura. 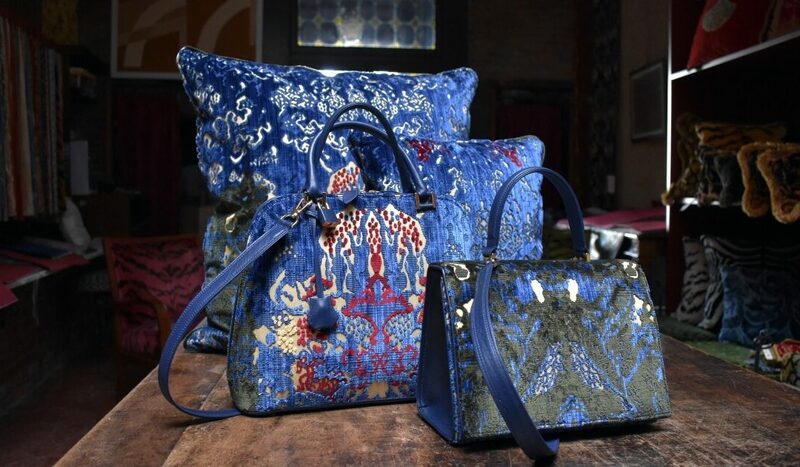 Besides, the pattern and bright colours characterising the Coralli velvet make these bags fit for spring and summer, as well as for a determined personality who doesn’t fear of being noticed.